MacFarlane gave $2 million to NPR for its Collaborative Journalism Network and $500,000 to NPR station KPCC. “Modern Family” co-creator Steve Levitan similarly expressed his discontent. Fox News has favorably covered the administration’s immigration policy that separates children from their families at the U.S. border. 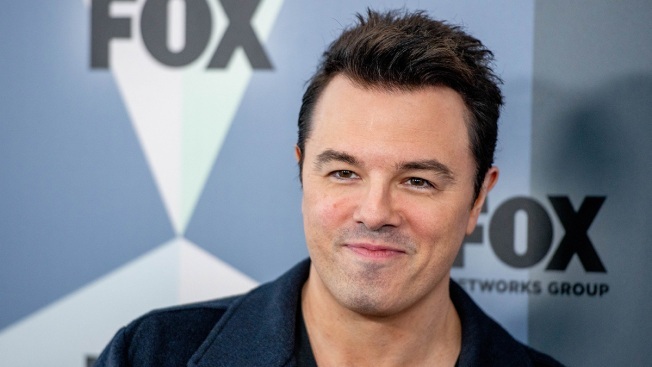 Five days after Fox News host Tucker Carlson told viewers to discredit anything they hear on rival news networks, “Family Guy” creator Seth MacFarlane donated a combined $2.5 million to NPR and its Los Angeles affiliate, an NPR spokeswoman told NBC. KPCC President Bill Davis said MacFarlane's donation will be used for "public accountability and investigative journalism" projects. Representatives for MacFarlane told NBC he did not have a statement on his decision to donate to NPR. In a tweet Saturday, MacFarlane said Carlson’s comments "make me embarrassed to work for this company." He also interpreted the hosts’ remarks as meaning "don’t think critically, don’t consult multiple news sources, and in general, don’t use your brain." MacFarlane's donation comes at a time when several stars associated with 21st Century Fox expressed frustration with the network’s coverage of President Donald Trump, according to NBC News. "Modern Family" co-creator Steve Levitan similarly expressed his discontent, writing in a tweet that "I’m disgusted to work at a company that has anything whatsoever to do with @FoxNews." Producer and director Paul Feig said in a tweet that he "cannot condone the support their news division promotes toward the immoral and abusive policies and actions taken by this current administration toward immigrant children."